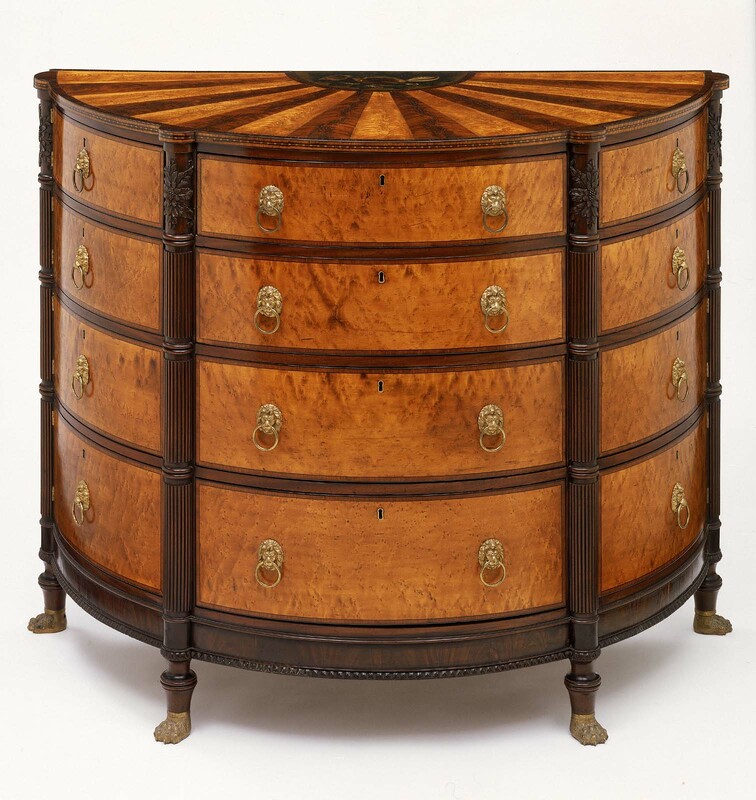 Thomas Seymour sold this spectacular commode to Elizabeth Derby West, daughter of the wealthy merchant Elias Hasket Derby, for her home, Oak Hill, in South Danvers, Massachusetts. 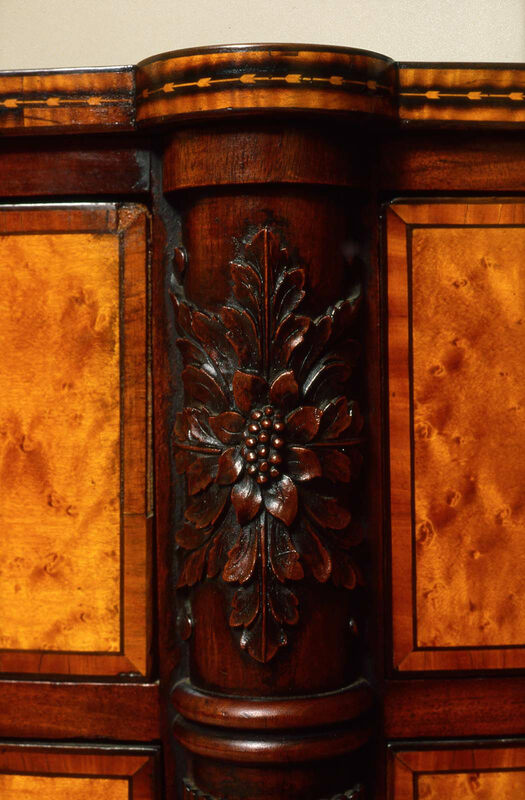 The son of English immigrant cabinetmaker John Seymour, Thomas Seymour had strong connections to a network of native and immigrant craftsmen. 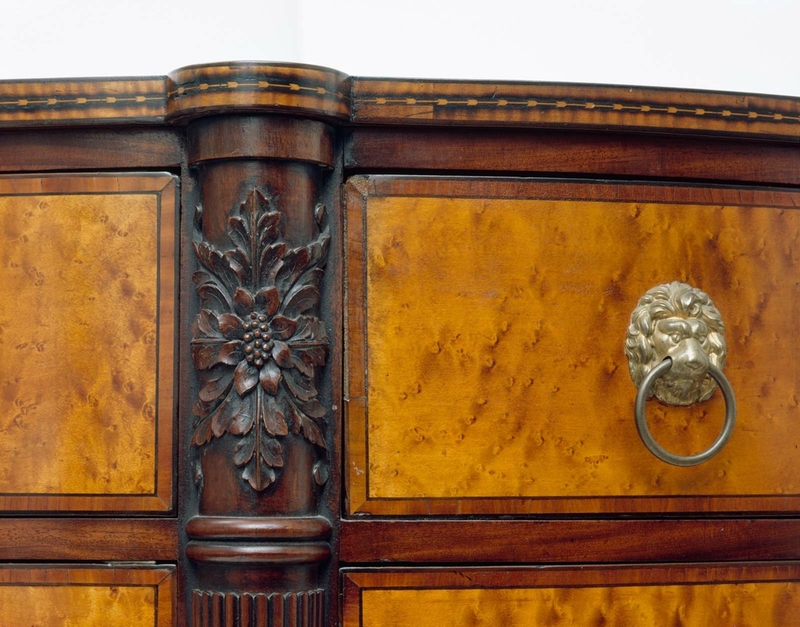 The commode was the ambitious collaborative undertaking of highly skilled artisans offering the finest level of materials and craftsmanship available in Boston, rivaling any in the United States. Seymour’s design is a sophisticated interpretation of the English style. Although the bright, highly figured veneers are flamboyant, the form is restrained and elegant. 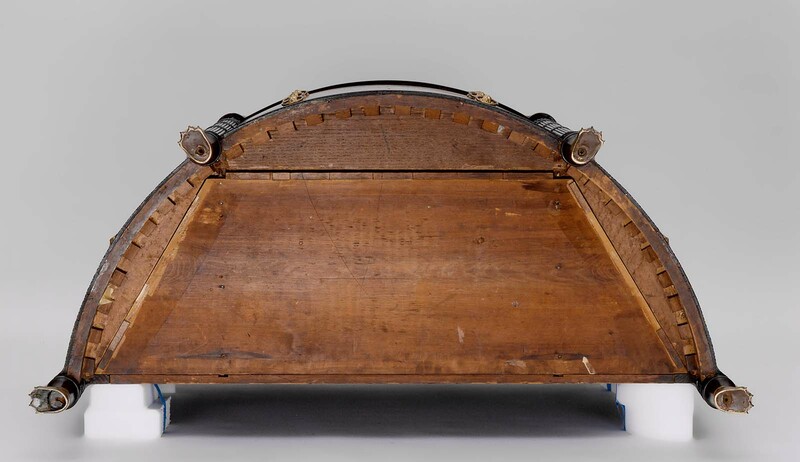 Shaped fronts were common on case furniture of this period, but the semielliptical plan of this commode presented an unusual challenge. The eight wedge-shaped side drawers swing open on hinges, with no interior space wasted. 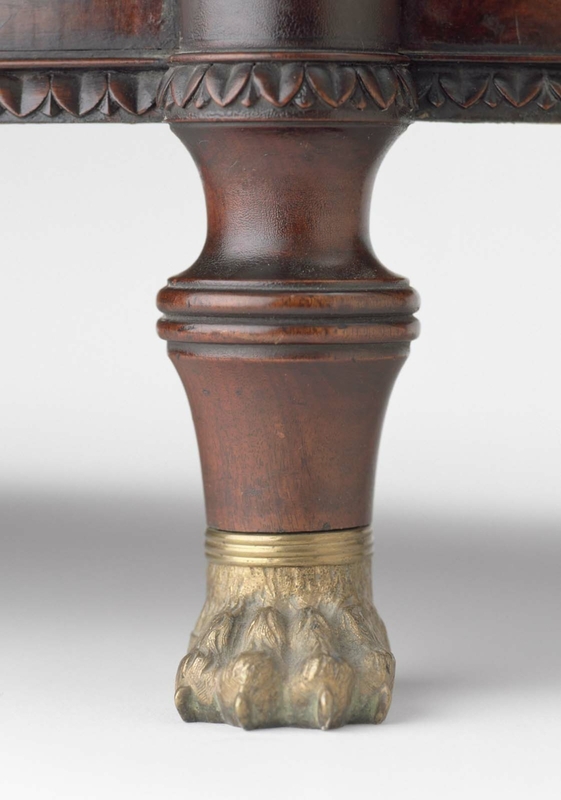 Each one added a considerable amount of work and expense, demonstrating that Seymour lavished attention on even the smallest details of construction, making this piece one of the finest examples of his craft. 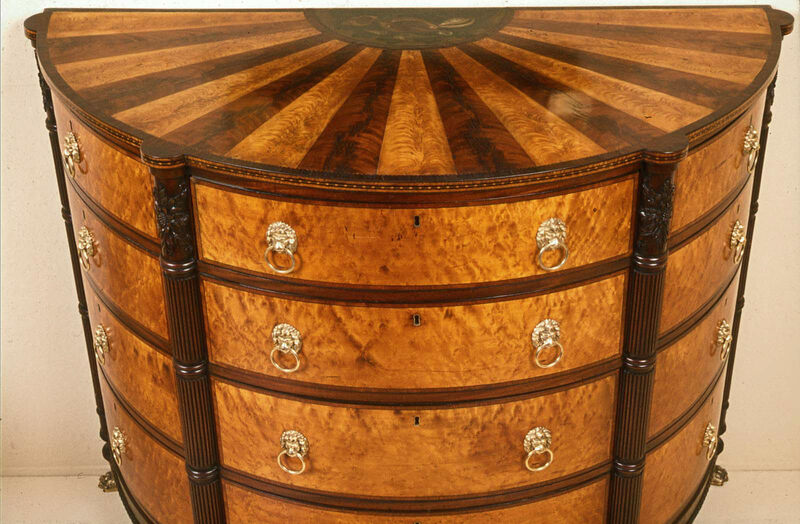 The commode’s rounded top offered an opportunity for a showy radial display of contrasting mahogany and birch veneers. 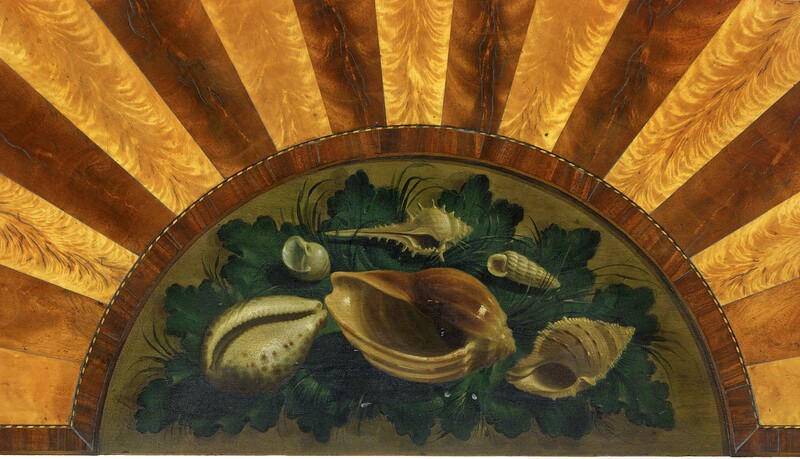 The highlight, however, is the design of seashells and leaves skillfully rendered by the decorative painter John Ritto Penniman. A receipt dated 1809 documents the work: “Large Mahogany Comode, [$]80.00. / Paid Mr. Penniman’s Bill, for Painting Shels on Top of Do [ditto] [$]10.00.” The crisp, confident carving of the blossoms at the tops of the colonettes and the patterned lower edge of the case is attributed to another English immigrant craftsman, Thomas Wightman, who is mentioned on the same receipt. 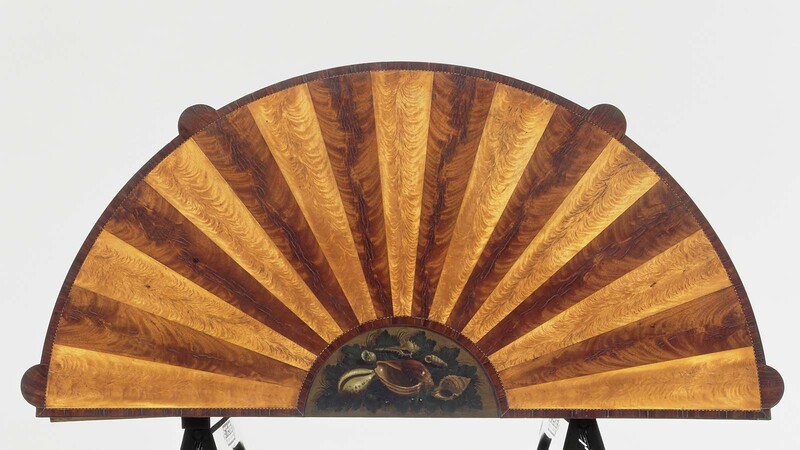 Thomas Seymour and his partner James Cogswell brought together their best resources to make this outstanding example of American Neoclassical furniture, and Elizabeth Derby West spared no expense in obtaining it. Made for Elizabeth Derby West, Danvers, Massachusetts, in 1809; descended through the family to Martha C. Codman (m. Maxim Karolik); Gift of Martha and Maxim Karolik, 1923. 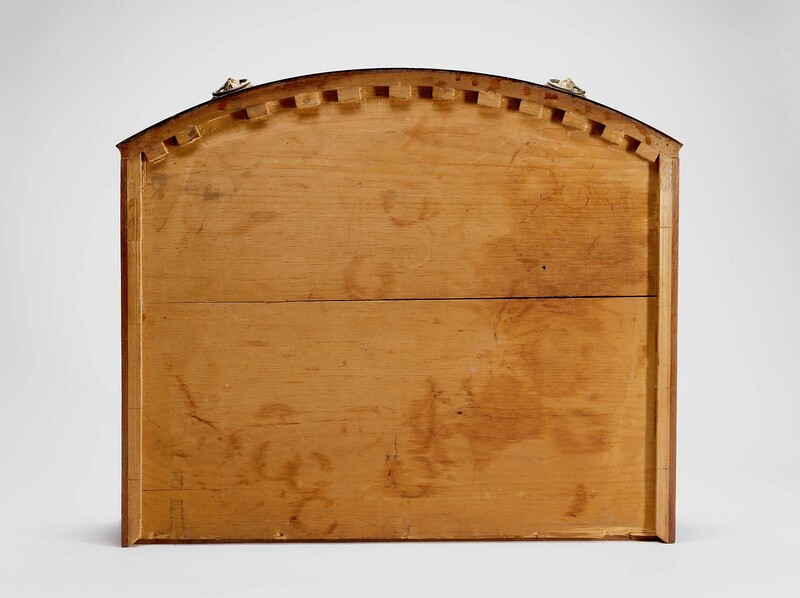 From R. Mussey catalog: Sideboard descended from Elizabeth Derby West to her granddaughter Louisa Lander. It was then purchased from her by her cousin Martha C. Codman.